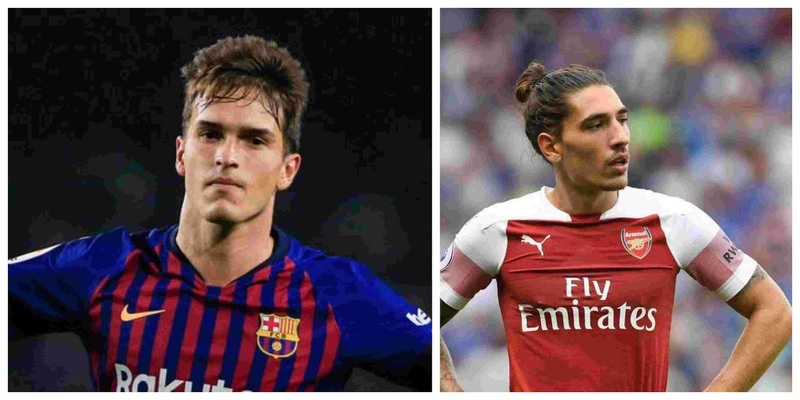 Barcelona midfielder Denis Suarez has made contact with Arsenal fullback Hector Bellerin online. Suarez has struggled for game time at the Nou Camp this season, featuring in just six appearances. And he's been heavily linked with reuniting with former manager Unai Emery at the Gunners. The 25-year-old played under Emery at Sevilla when he was loaned out to La Liga club for the 2014/15 season. On Monday, the midfielder made contact with Arsenal star Bellerin by commenting on his latest Instagram post. Tienes cosas (what things you have). Bellerin responded to his countryman with "Alguna que otra" (occasionally). Denis Suarez commenting on Bellerin’s Instapost. Wonder how long it takes for Arsenal twitter..
Aaron Ramsey is set to leave the Emirates on a free transfer in the summer and the Barcelona player would be a potential replacement for the Welshman ahead of his departure.